1. Energy Conservation: This means saving energy on our existing Lighting set up, when not in Use. This can be done by using Lighting Control Systems like dimmers, Occupancy Sensors, Daylight sensors etc. We can save upto 60% in power bills by conserving energy. Your home and your workplace should be designed to complement your needs. As your needs change throughout the day, your lighting should adapt as well, bright to read a book, but dim for computer use. Whether you are at home or at work, Our solutions provide convenient access to light control, creating a comfortable atmosphere to support your activities throughout the day. a. Energy efficient - LED’s are now capable to give higher output per watt – Which Means More Light in Less Power Consumption. b. Solar Capacity Advantage – By Converting to LED from Conventional Sources, Since the Load is reduced by almost 60%, One can Benefit by Installing Solar Power Plant of Reduced capacity and saving on the capital costs. c. Long Lifetime - 50,000 hours or more. So if we glow a LED Tubelight continuously for 24 hrs in a day It will Glow for 5 years and 7 Months. A CFL has to be changed every year. d. Rugged - LED’s are also called “Solid State Lighting (SSL) as they are made of solid material with no filament or tube or glass to break. So no breakages. e. No warm-up period - LED’s light instantly – in nanoseconds which means it gives Flicker less Light. f. Not affected by cold temperatures - LED’s “like” low temperatures and will startup even in subzero weather. g. Directional - With LED’s you can direct the light where you want it, thus no light is wasted due to use of reflectors. 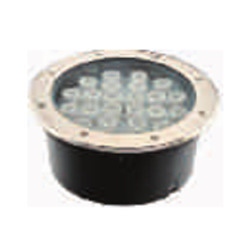 i. Environmentally friendly - LED’s contain no mercury or other hazardous substances. j. Controllable - LED’s can be controlled for brightness and color. We are obsessed with Energy conservation and want to promote this Noble cause to all segments of the Society. To make it affordable and Practical to switch over from conventional lighting to Energy Efficient and Environment Friendly LED Lighting we offer our products under Save N Pay Scheme. This means we change all conventional lights to LED lighting without any Upfront Payments and reduce your Load by almost 55-70%. And To Ice the Cake we ask for a share from your monthly savings and recover our investments in 12/24/36/60 months as per your convenience.